This modified post originally appeared in the Center for Individualized Medicine blog. 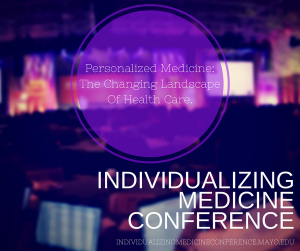 Gianrico Farrugia, M.D., director of the Mayo Clinic Center for Individualized Medicine, took to the stage Monday morning to welcome nearly 500 attendees to the Individualizing Medicine 2014 Conference. This third annual genomics conference promises a practical approach to helping medical professionals discover and integrate genomics technology into routine patient care. 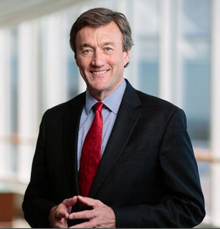 Clifford Hudis, M.D., immediate past president of the American Society of Clinical Oncology (ASCO), delivered the keynote address by challenging the participants to reexamine how we define value in cancer care. If the practitioners don’t, others will. He highlighted how the current way cancer drugs are developed and priced is not sustainable and that there is no relationship between cost and value. Dr. Hudis predicted that changes are coming. Several informative presentations followed. Geoffrey Ginsburg, M.D., Ph.D., Duke University, offered a look at the future of genomics and how we now have the opportunity to use genomics throughout the lifetime of a patient, in effect, from womb to tomb. Noninvasive Prenatal Tests (NIPT) is a success story in genomic medicine. Diana W. Bianchi, M.D., Tufts Medical Center, discussed how genomic testing has revolutionized prenatal screening for aneuploidy in a very short time. Patrick Geraghty, CEO and Chairman of the Board of Florida Blue, outlined the innovative policies that Florida Blue is bringing to the health care community. He challenged the attendees to rethink the future of health care as a means to package the right answer in a way that meets people where they are and how they want to receive it. The afternoon brought a number of breakout sessions, including a lively conversation on the current state of reimbursement for genomic testing, trends in ethical and social issues for genomic research, and personalized medicine for hematological cancers. Gloria Petersen, Ph.D., a researcher and a biobank manager at Mayo Clinic, talked about the goals, challenges and obligations of running a biobank. Paul J. Hergenrother, Ph.D., University of Illinois at Urbana-Champaign, offered a detailed look at procaspace-3 activation for pet therapy, and how this relates to a forthcoming human clinical trials. Hergenrother confirmed that the dogs were veterinary patients in need of aggressive cancer treatment, not lab animals. 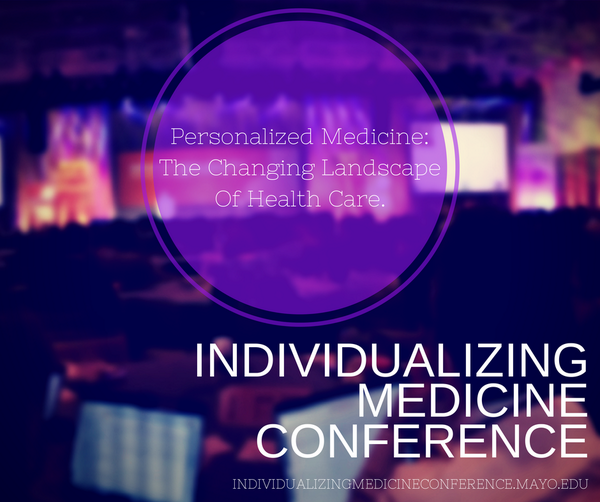 The 2014 Individualized Medicine Conference runs through October 8 and promises to be an informative and exciting look at the present and future of genomic medicine. If you’re unable to attend, follow along on Twitter using the hashtag #cimcon14.